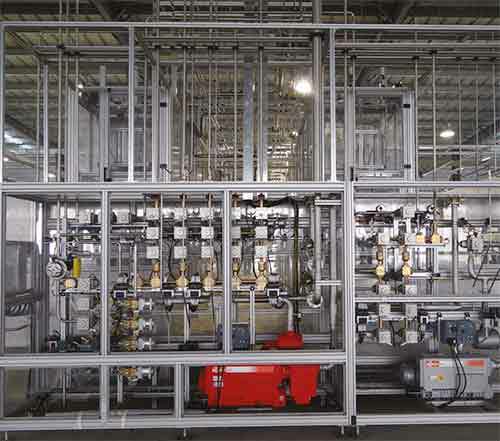 Complete skid with all valves and instruments to fill cylinders in total safety, with the highest accuracy. Cryostar supplies single gas, double mono gas or mixture filling systems. All Cryostar filling skid equipment is CTE or BAM approved for O2 filling and ATEX approved for explosive gases. 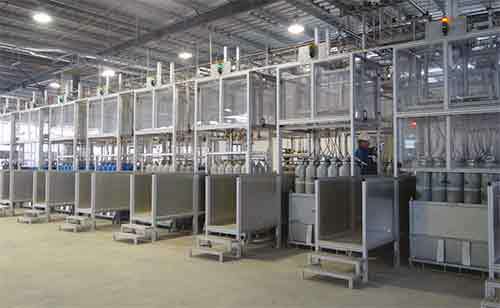 The filling racks can fill batches of 8, 10, 12 or 16 bottles.